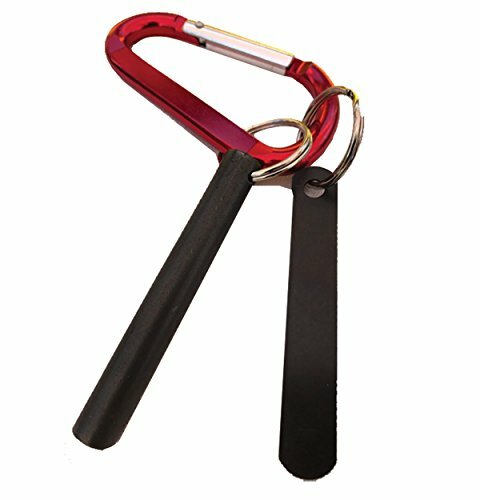 The Kamper is a light weight (2 1/2 oz) camping fire starter that you clip to your belt with a carabiner and is 6 inches long. This is our "grab and go" model. The flint is a European Fire Steel made of Rare Earth metals. Don't be fooled, this flint is superior in every way. Rare Earth metals are often mixed with inferior content. The exterior of these inferior flints look exactly like ours but perform poorly. Never accept a substitute.